Redbox is a platform which provides movies on rent at a cheap rate which you don’t want to buy. Most of the movies you can rent under $2 for 24 hours. It also offers promotional codes to their customers which allow you to watch free movies. All you need to do is to apply these codes while checking out from any Redbox Kiosks which are placed outside of restaurants, movie theatre, and shopping malls. In this article, we will share all the free Redbox codes which would get you free movies and games. Apart from this, we will also let you know some more ways to get free codes from Redbox. These codes received most success but still not working for all customers. So you can just give a try. If you have used these code in past you may not get the benefit again. These are one-time applicable codes. 1.REDBOX:- It is only for the new customer and you get a one-night free rental movie. 2.DVDONME:- We can use this code only once and your selected movie will be free after applying this code. 3. BREAKROOM:- This code will also get you one-night free rental movie and this is only for new users. 4. DVDNIGHT:- same as breakroom but for all users. 6. DVDATWEG:- Applicable to Wegman’s location and only Wegman’s shoppers can use this code. 8. DVDKROG:- Applicable to Kroger’s location. 10. Text code:- MOVIE TIME, EMAIL, MOVIE, MOVIENIGHT, FREEBIE send this to 727272 and you will receive a code back to get the free 1-night rental movie. 11. Game Code:- Text GAMENIGHT to 727272 and get a free game rental. We have already shared the most popular codes which have high success rate and usually work only once. Now we are going to discuss some additional ways through which you can receive more promotional codes to get free movies and games. Whenever a customer signup their newsletter you are eligible to get a free Redbox code which you can redeem for 1-day free rental. And the second advantage is that you get updates related to all discounts and coupons. you can use multiple emails account in order to repeat the benefits. It is an optional service which you can cancel at any time. But if you are a regular customer of Redbox than newsletter can be really beneficial for you. It is similar to the newsletter the only difference is that here you will receive updates via text rather than emails. In order to enroll send message SIGNUP to 727272 and your account is ready to receive the deals and discounts. Redbox text club gives updates related to deals and discounts right in your inbox. Service is completely optional you can cancel it anytime. Download Redbox App in your phone and get the code of free rental which you can be applied to any selected movie. The whole process does not take more than an hour and if you have multiple phones you can repeat the benefits. Nowadays social media is a vital source of targeted customer and that’s is the main reason companies are highly active on social media. And doing promotion on social media helps them to engage more audience. Redbox offers many free promotional codes directly on their facebook, twitter and Instagram page. So it good to follow them on social media and take the advantage of their promotion. Being a member of play pass can get you free movies. On every rental, you get 10 points and on 100 points you get a free one-night rental. So it is highly beneficial if you are a regular customer of Redbox. There are some additional benefits like on your birthday and anniversary you get the free rental movie. Create a new account and reserve a movie online. Collect your DVD from kiosk and make the payment for this purchase. Once you return the rental you will receive a code of free rental that you can use for your next movie. Don’t forget to check the Redbox Location for free rental movie and games. Most of the time it based on the location that can offer you free redbox rentals. 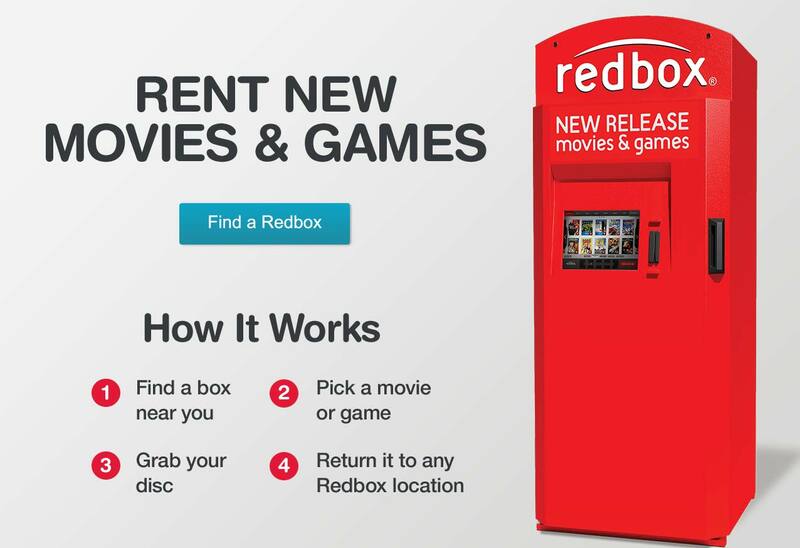 Redbox is a company that provides movies and games on rental through an automated retail kiosk. It is a best source to get movies at cheaper rate in bluray and DVD. But we can also get free Redbox rentals through their promotion codes. Which eventually saves our money. Most of these codes you can apply only once where as some you can use multiple times by changing account and phones.